When I started training for triathlon at the age of 19, I was completely in the dark about what was required. After trawling the internet for training plans and advice, I was even more confused. At the time I was studying for a degree in biochemistry, and I was interested in how the human body worked and responded to exercise. Through my progression as a scientist, I began to realise a lot of the information available to endurance athletes from beginner to professional was extremely outdated with little to no scientific backing. Fast-forward 8 yrs and I'm a struggling PhD student with serve overtraining syndrome from trying to train like a professional athlete before I was ready. During my PhD I began to get approached for my advice on endurance training principles and practices. My experience as an elite athlete and sports scientist allowed me to present information in a way that was new and eye-opening for a lot of athletes. In 2016 I formalised my coaching business with my PhD supervisor, Professor Steve Stannard, and Performance Advantage was born. Encourage athletes to challenge their current way of training. Fill the knowledge void between athletes and sports professionals. Create a new generation of educated athletes. 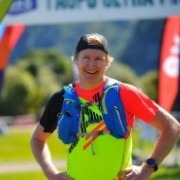 Dr Steve Stannard is a research academic and Professor in Exercise Physiology at the School of Sport and Exercise at Massey University. He has a PhD in Exercise Physiology and also a Masters of Nutritional Science, both from the University of Sydney. He teaches and conducts research at the interface of exercise science and human nutrition, and his work on endurance training, sports supplements, and muscle recovery is very well regarded. Prof. Stannard is often sought by the media for public comment (national newspapers, television, and radio) about issues relating to sports performance, and in particular, supplements in sport. In his younger years, Prof. Stannard represented Australia as a road-racing cyclist. He is still a keen Masters competitor in bicycle racing, having won a number of NZ Masters titles in road cycling. 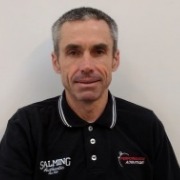 Prof. Stannard has also held the position of a National Road Cycling Development Coach for a number of years, and has managed and coached NZ National Teams at a number of international events. He has personally coached cyclists to International Level, including two athletes to the World Road Cycling Championships.